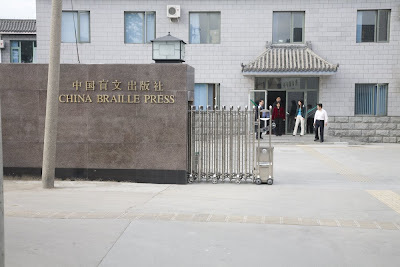 The China Braille Press was another impressive visit. 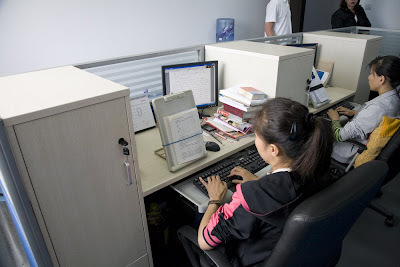 Not only do they produce Braille in quantity, but the Press is also developing affordable technology for blind people such as screenreaders and talking ebook players. It's always a thrill to meet a new group that could be solely a traditional nonprofit, but is clearly thinking like a social enterprise! The facility was several buildings in a compound on the outskirts of Beijing. The Wanping area it is in is being preserved. Apparently, the Sino-Japanese war in the 1930s started nearby, at the Marco Polo Bridge. We visited a room full of Braille transcriptionists, mainly working on textbooks. The software they use was apparently written at the Press. 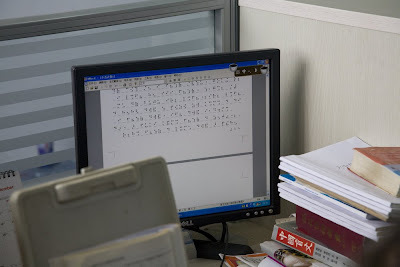 You can see Braille visually on the PC screen appearing as they type. For high volume production, special metal plates are made. A programmed machine was punching the Braille into the plates. 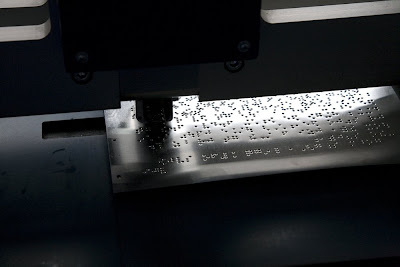 The Press has several Braille presses, including one they built themselves. 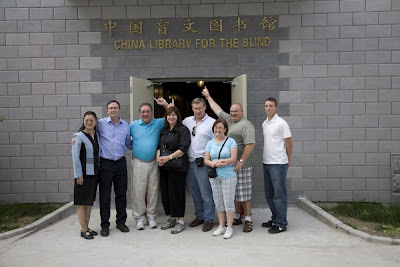 We also got to visit (on the same campus), the Braille library, which was full of thousands of volumes of Braille. The products the Press designed were pretty impressive. Lian let me play with her Sunshine player (all the products of the Press are marketed under the Sunshine brand): it cost roughly $100 and has a 1 Gig of storage (the latest version has 3 Gig). It has a built-in voice synthesizer in both Chinese and English. They are also planning on building an affordable Braille display. I'm definitely going to be spending time learning more about how these products could work with Bookshare.org!